The Sovereign Debt Crisis is of profound importance. What is grossly being overlooked is both the exposure of banks to sovereign debt in Europe as well as Japan. In the case of the former, France has more exposure than all of Europe combined. The French have actually proposed lowering the retirement age from 62 to 60. This is like you see you are about to hit head on in a collision while driving so you just step on the gas to endure to end it all as fast as possible. If the Greeks do not blow up the Euro, don’t worry, the French will. The French banks are in serious shape and now the Government will not back off of its insane socialistic policies. Just where is this money supposed to come from nobody knows. In Japan, the same problem exists. The Japanese debt is going to crash and burn in 2013. This will be the first opportunity for a major low in Japan. It will be 23 years down. Expect the JGBs to crash, the yen to decline, and the Nikkei to finally rally after it makes new record lows in 2013. The Japanese bank exposure to Japanese debt is monumental. The slightest uptick in interest rates in 2013 will wipe out bond investors like we saw in 1931. This will push the dollar higher as capital flees and parks in the dollar. Eventually that will flip and the dollar will drop with the Sovereign Debt Crisis eventually migrating to the USA. As far as where to put your money, well that will be good solid equities. Gold of course will provide the underground economy. So those buying gold, make sure it is in coin form not in banks nor in bar form. Gold is not headed for nonsense of $30,000 and ounce. If that ever happened, the troops would be hunting down gold door to door in the USA. 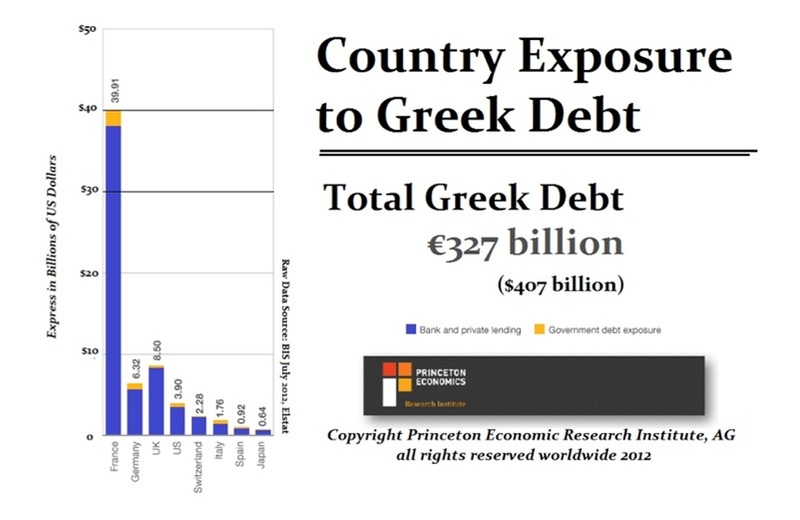 The Sovereign Debt Crisis defines everything. 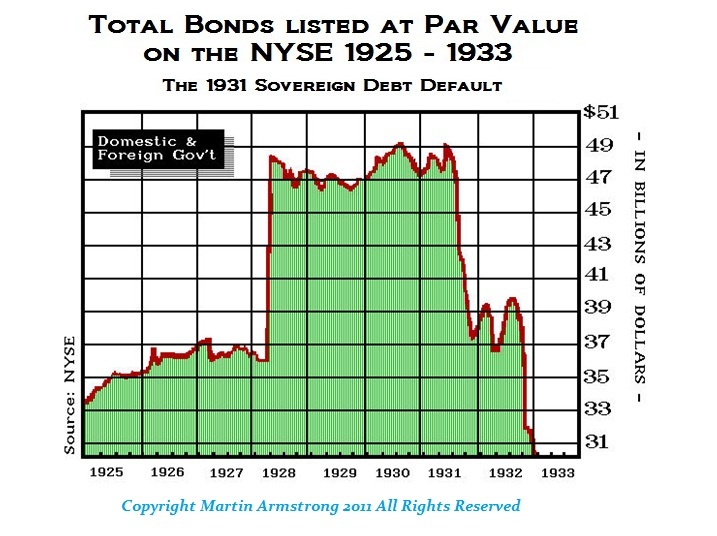 Just remember what happened to bonds in 1931. Here is a vivid chart because this data is usually suppressed.